We love going to pro football games, but sometimes, baby it’s cold outside! 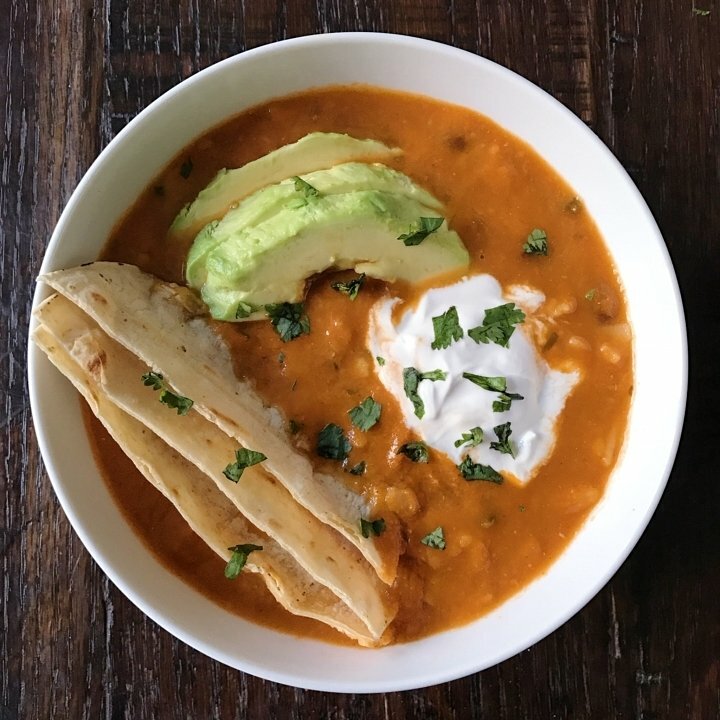 We often can’t wait to get home and warm up with a bowl of this Vegan Tortilla Soup. It’s easy to make ahead and is one of our favorite soups! The recipe is from my good friend Aleyda of The Dish on Healthy. There are several options in her recipe so you can choose to make it with chicken, or go vegetarian with beans. We like it loaded with black beans and gluten-free corn tortillas, and we make it with freshly roasted tomatoes, peppers, garlic and onions so it’s extra flavorful. Topped with avocado, Tofutti Brands sour cream and extra tortillas, it’s a yummy, hearty meal! Bonus: it makes a large batch so you will have some for the next day.